It can be hard to find space when you live in a very small apartment with no room for lots of furniture and just the basic stuff every house needs. 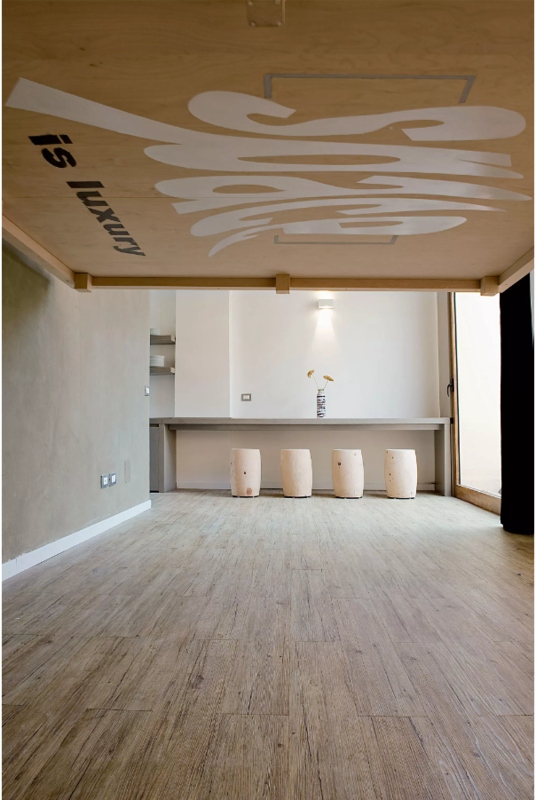 However, designers are always coming up with solutions for the minuscule homes we live in today. Renato Arriho may have an interesting solution. 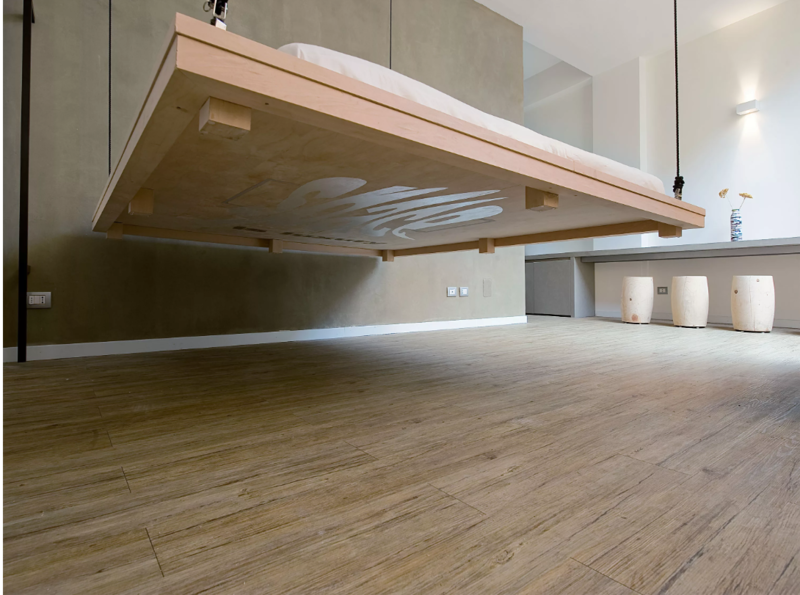 Architect Renato Arrigo designed the perfect bed for a small apartment. The bed fits a tiny apartment in the historical centre of Taormina, Sicily, Italy. The name says it all: Space is Luxury. The Space is Luxury bed raises up tp the ceiling when not in use, freeing lots of space in the room for whatever you want to use it for. It works using cleats in the corners of the bed, with super-strong ropes tied to them. 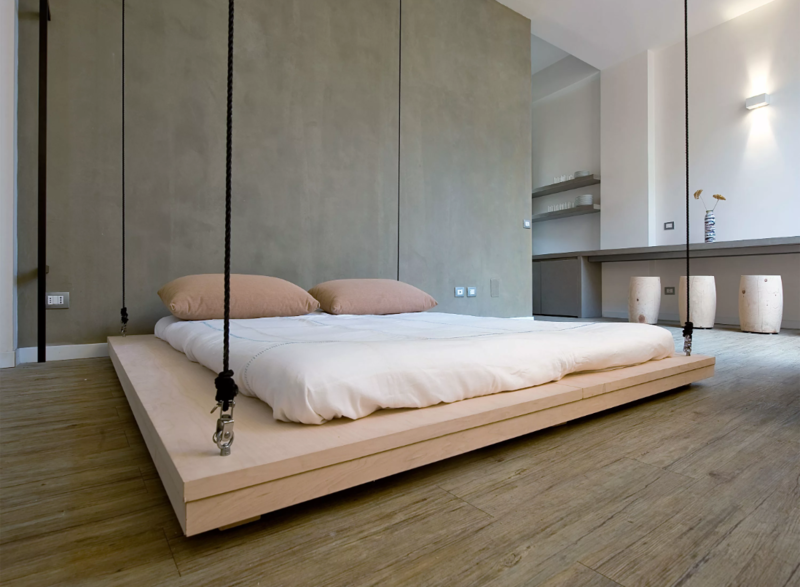 Those ropes have a pulley system that allows the user to raise or lower the bed, as wished. The words Space is Luxury are beautifully inscribed on the bottom of the bed, almost resembling a graffiti. What’s more interesting about this product is that you can customize the art style in the bottom of the bed and also choose between a manual or motorized pulley system. A very practical solution for a problem almost everyone feels today in our teeny-tiny apartments.